Obtaining remote access to your checking account. Use of a debit card or credit card that you did not approve is also identity theft. In some cases, identity theft occurs within families. Within families, the victims are most frequently children, seniors, and domestic violence survivors. This kind of identity theft makes reporting and recovery especially difficult for victims. First, report the crime to the police. You do not need to know the name of the person who used your identity. You show the police the debt collection letters or other confirmation that you are the victim of this crime. Ask for a copy of the police report. The police report will be necessary to provide to creditors, banks, and agencies to demonstrate the identity theft. Next, close and dispute credit or debit cards that were misused when your identity was stolen. If checking accounts were misused, make sure only the checks you wrote will be cleared and not the checks written by the identity thief. You may also create an identity theft recovery plan, including affidavits, on the FTC website to prove to companies where the thief misused your information, and state all inaccuracies on your credit report. This can be used to help police create the identity theft report. The three forms below use the FTC-created material. The information provided and the interactive interviews will give you legal information, not legal advice. The completed form can be viewed and printed with Microsoft Word or Open Office. You will also need to provide a copy of your proof of identity. Click below to use the interactive interview for a Letter to a Creditor, directly collecting their own bill. One example is a credit card statement you received that contains charges you didn’t make or authorize. It can be any situation where your credit or identity was used without your permission. To use the interactive interview for responding to a company or law firm that is a Debt Collector, or collecting a bill that is in your name but you did not authorize, you will need a copy of the company's or law firm's letter in hand when you start the interview. A letter to a credit bureau requests an investigation and asks the bureau to remove items from your credit report that are the result of identity theft. To use the interactive interview, you will need a copy of your credit report in hand when you start the interview. You can obtain a free copy of your credit report from each credit bureau here. You do not have to pay for a copy of your credit report. One credit report from each company is available to you for free each year from annualcreditreport.com. An additional copy from each credit bureau is available to residents of Maryland. Instructions to obtain the additional copy are available from the Attorney General. Finally, victims of identity theft are entitled to receive a free copy of their credit reports. These can be obtained by contacting the credit bureaus directly; these instructions are also available from the Attorney General. After the interview, you will mail the letter and attachment, a copy of your credit report with the incorrect items circled, a copy of the police report you made of the identity theft and proof of your identity with the letter. The Attorney General's Identity Theft Unit has tools available to help victims of identity theft address their problems, and to help all consumers protect themselves from identity thieves. One of the tools offered is an Identity Theft Passport. You may apply for an identity theft passport, which can be presented to law enforcement to help prevent arrest or detention for an offense committed by another person using the person’s personal identifying information. It may also be presented to a creditor to aid in the investigation of fraudulent accounts or charges. A Taxpayer Identification Number (TIN) is a number used to identify you to the Internal Revenue Service (IRS) when filing your taxes. For individuals, this number may be your Social Security Number or an Individual Taxpayer Identification Number (ITIN). You receive information or a refund from the IRS for an employer that you did not work for. If you receive correspondence from the IRS regarding any of the above matters, respond right away. Contact the individual listed on your letter and request an IRS Identity Theft Affidavit (Form 14039). For more information, visit the IRS webpage for a Taxpayer Guide to Identity Theft, or call the IRS Identity Protection Specialized Unit at 1-800-908-4990. You can take steps to prevent identity theft. Do not carry your Social Security card, birth certificate, or passport on a regular basis. Shred documents with identifying information on them and change your passwords and pin numbers frequently for your bank account or information stored online. Review your credit card statements diligently, and request a copy of your credit report on an annual basis. You may also check with companies to opt out of having your information shared for promotional purposes. For more information on opting out of this type of information sharing, visit www.ftc.gov. You also have the option to opt out of information sharing with both financial institutions and credit card reporting agencies to reduce the amount of unsolicited credit and insurance offers you receive for either a period of 5 years or permanently. Their toll-free number is 888-567-8688 and their website is www.optoutprescreen.com. For more information about what you can do to protect your identity, visit Federal Trade Commission Consumer Information, which offers offline and online security options as well as information on how to secure your Social Security number and devices. 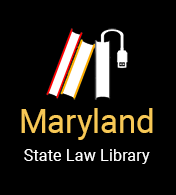 Maryland Crime Victims’ Resource Center, Inc., and Maryland Volunteer Lawyers Service; updated by Keera Gilbert, Maryland Volunteer Lawyers Service.